The Karate Institute is a professionally designed, purpose built, full time Martial Arts training centre with flexible hours and class times to suit your busy lifestyle. Many overseas Martial Arts Instructors have commented that this is the best facility they have every trained in. 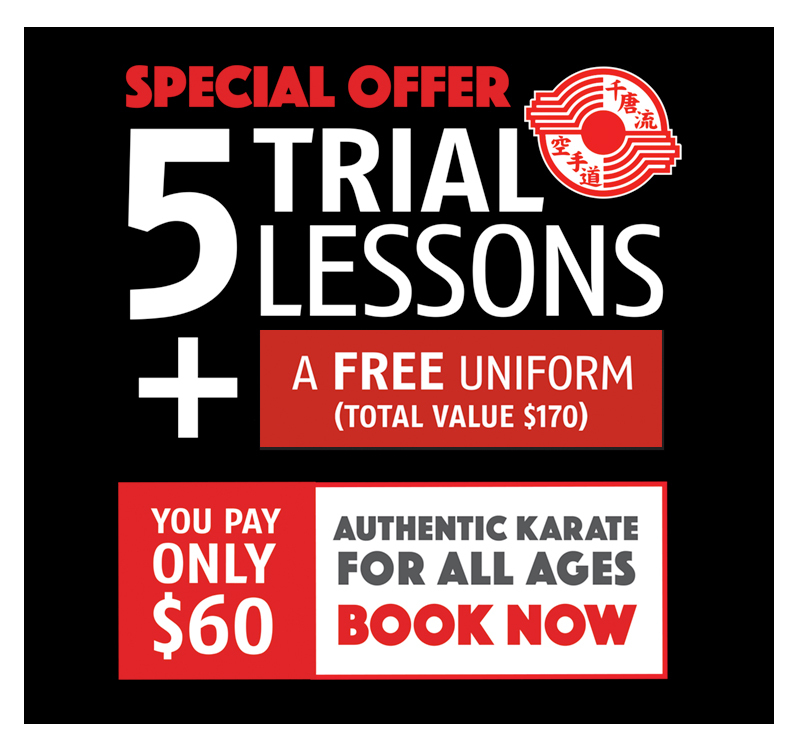 Expert teachers of Karate | Fantastic training facilities | Inclusive & supportive learning community - I enjoy training at the dojo with Sensei Noonan and his first-class cohort of teachers. Ratna is great with running the administration smoothly. Prior to joining the Tasseikan Dojo (Australian institute of Karate), we were amazed at just how many ‘dojos’ there were! We visited most of them, and more often than not we walked away thinking a) everyone has a different take on ‘martial arts’, and b) anyone can rent a space and open their own dojo! This is where the Tasseikan Dojo is different. The Karate discipline of Chito Ryu, has a long and honourable history with its headquarters in Sohonbu, Japan. Sensei Noonan, who teaches the classes, was recently promoted to 7th Dan, and is currently one of two people outside of Japan to hold this rank! He also has the qualities of a great teacher – approachable, a good communicator, deep subject knowledge and firm but kind. We never have to nag our 11 year old son to go to classes, he’s ready in his Karate gi (twice a week) and hurries us - I think that says it all!!! This dojo is very professsional - my son is thriving under the tuition of Sensei Noonan and the community is very supportive. 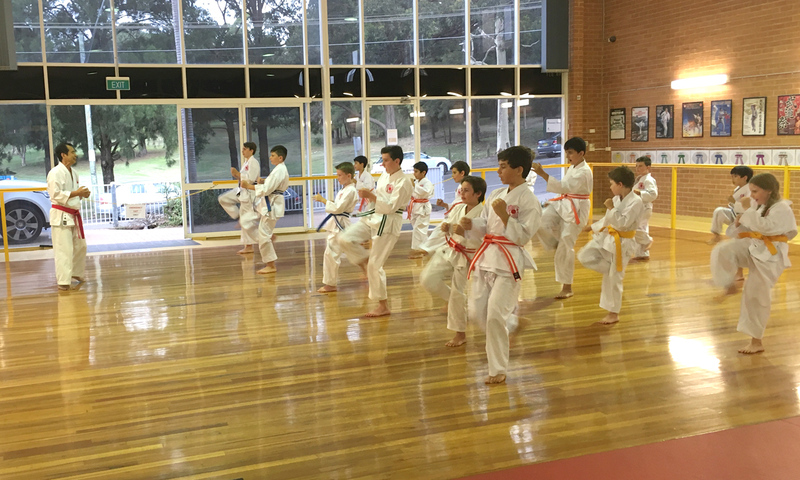 I started Karate for the first time ten months ago at The Australian Institute of Karate Tasseiken Dojo and I absolutely love it. Being a fast paced IT Manager with multiple projects on the go, for me personally it has improved my day to day mental concentration and stress coping mechanisms. After each lesson I come home energised and ready to face the busy lifestyles we all live. Sensei Mike and the senior students are welcoming and inclusive. There are no aggressive or overbearing egos and if you make a mistake its ok. The culture is that of always learning and always improving. Both my children also train at the Tasseiken dojo and Sensei Mike is fantastic with kids. The mental and physical improvements with both my children was noticeable after six months and they love to go to Karate twice a week due to Sensei Mike's encouraging teaching. Sensei Mike has been learning and teaching in the Chito-Ryu style for over 37 years. It is a fluid, non jarring style designed to be practiced over decades without causing any joint damage or body wear and tear. This style is great for us as we also have our day to day lives to live afterward without fear of injury. I have trained at this dojo since I was 9years old. Sensei Noonan is the absolute best Sensei in Australia. The dojo gives me a sense of belonging and all of the students make you feel welcome and part of the family. Training here for 5years, I have built confidence, my mental state has gotten better and as well as my physical state. I LOVE IT HERE. I couldn't think of any other place where I would belong. I recommend this dojo to everyone. No matter your age, weight or appearance, everyone is accepted into the family.